Vintage Apple IIE, IIC KING'S QUEST II NMIB - WORKS! King's Quest involved the player as Sir Graham, in the service of King Edward. Edward had ruled the kingdom of Daventry with a benevolent guise but times were tough and you are called upon to reclaim the various magical items that had once made Daventry great. These items include a magic mirror, a magic shield and magic chest of gold. If they weren't magic, they wouldn't be in such high demand, would they? 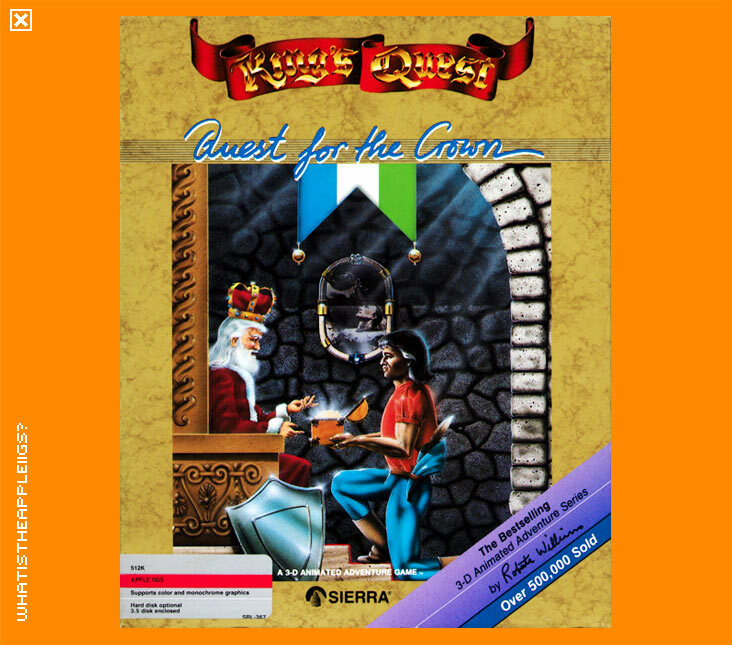 King's Quest was the first of Sierra's 3D Adventure Games, released first for the IBM PC in 1984. I must confess I spent many hours playing Sierra's adventure games. 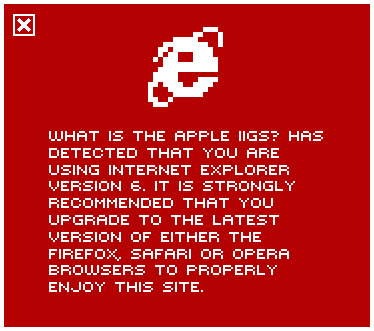 And loved it, despite their archaic graphics compared to the visual capabilities of the IIGS. If you've never played one of Sierra's games, King's Quest is a good place to start. Smaller than the other King's Quests, it involves many enjoyable, simple mini-quests to reach the more valuable items and you won't need any background information regarding the characters and storyline as this is where the saga began.